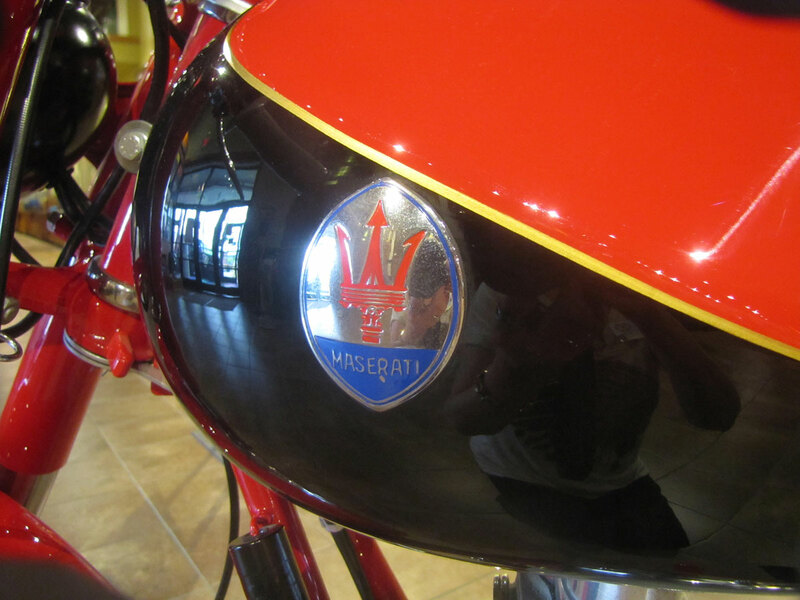 Fresh from a comprehensive restoration, in 2011 this Maserati 160 pleased the Pebble Beach Concours d’Elegance motorcycle judges. 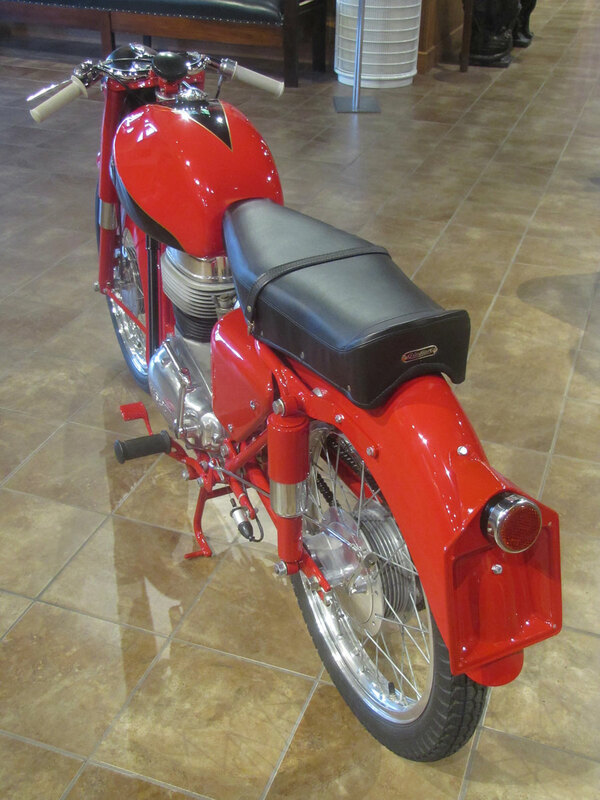 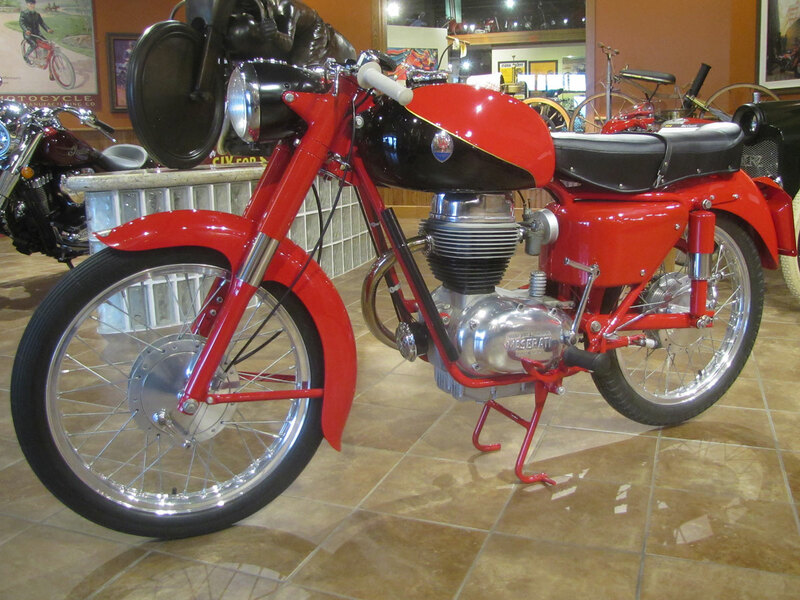 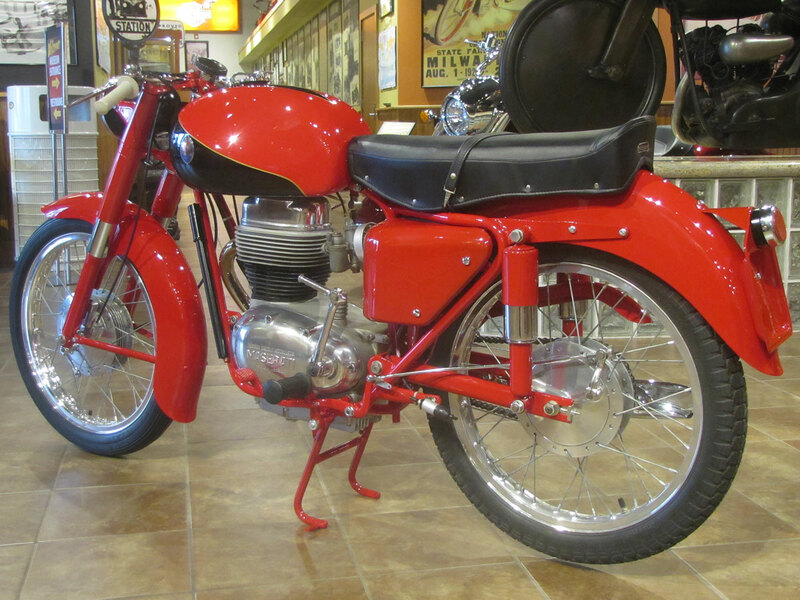 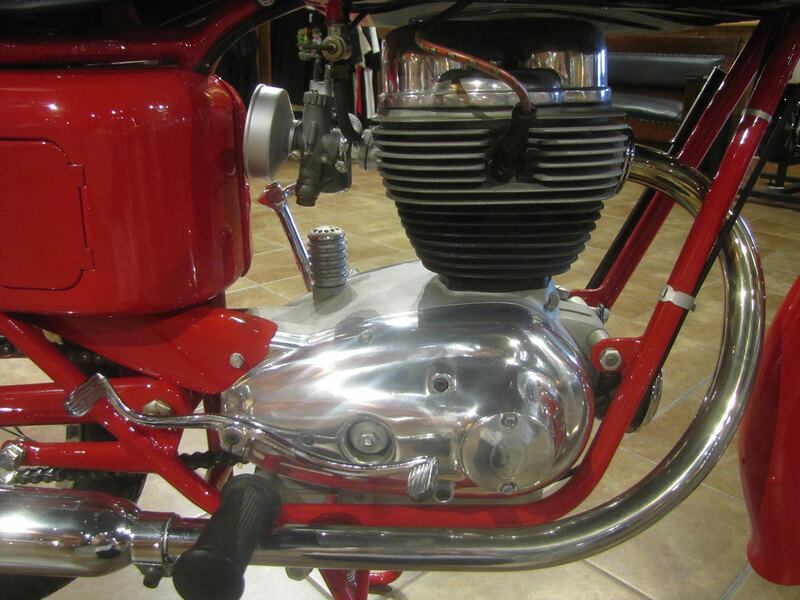 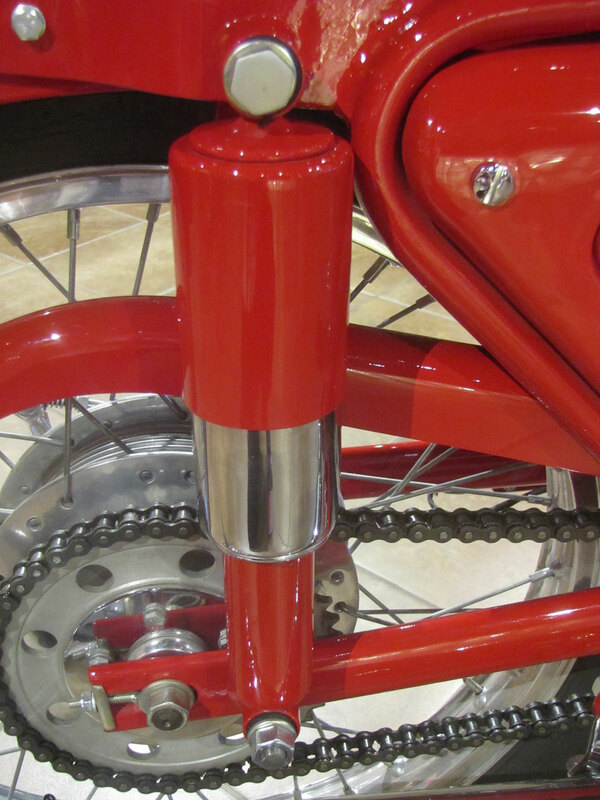 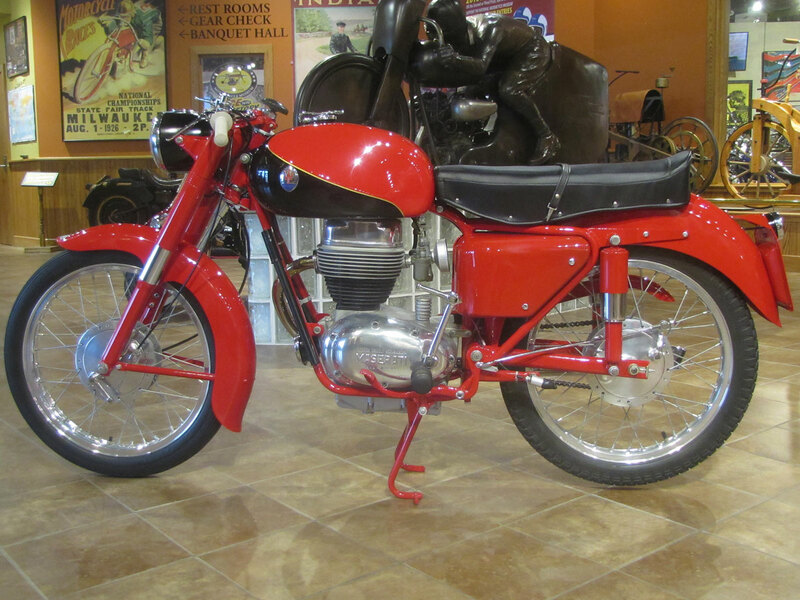 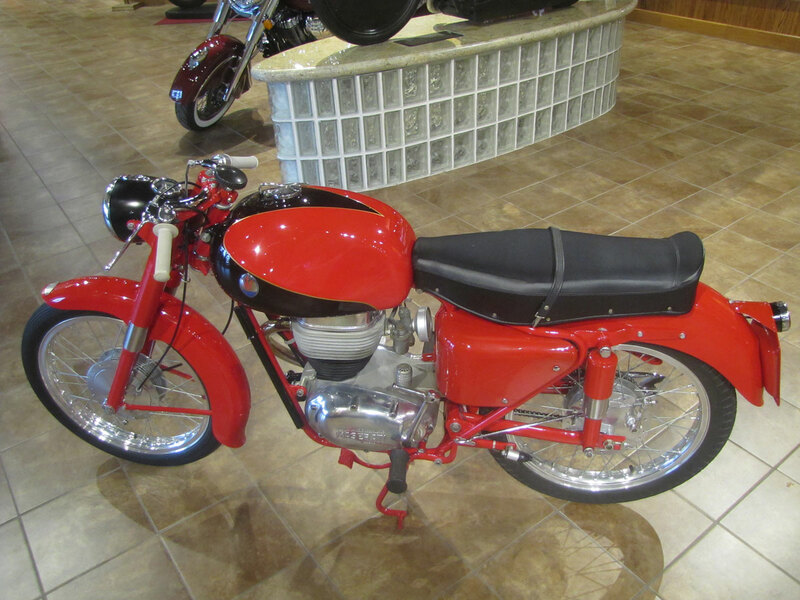 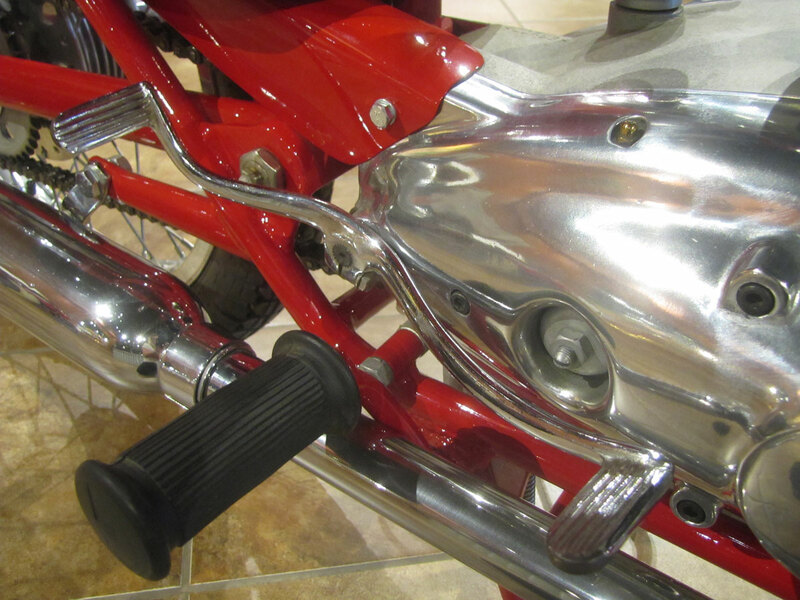 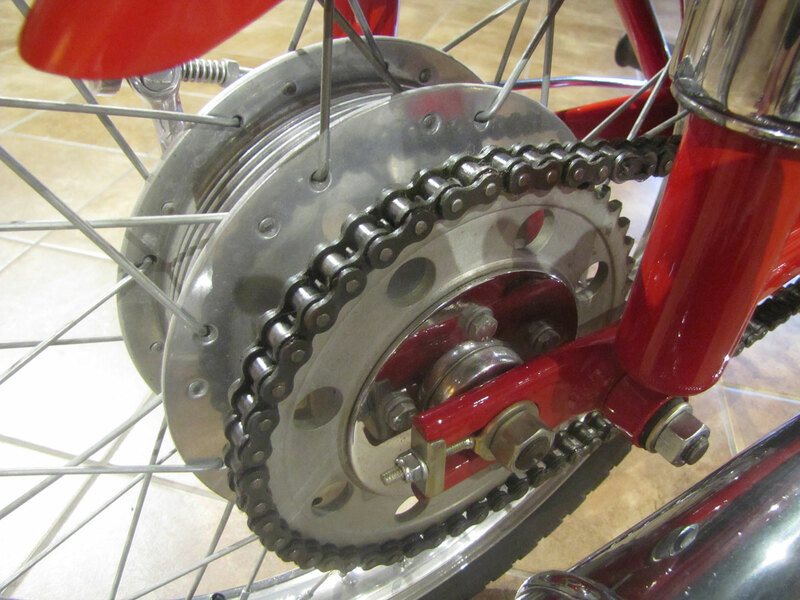 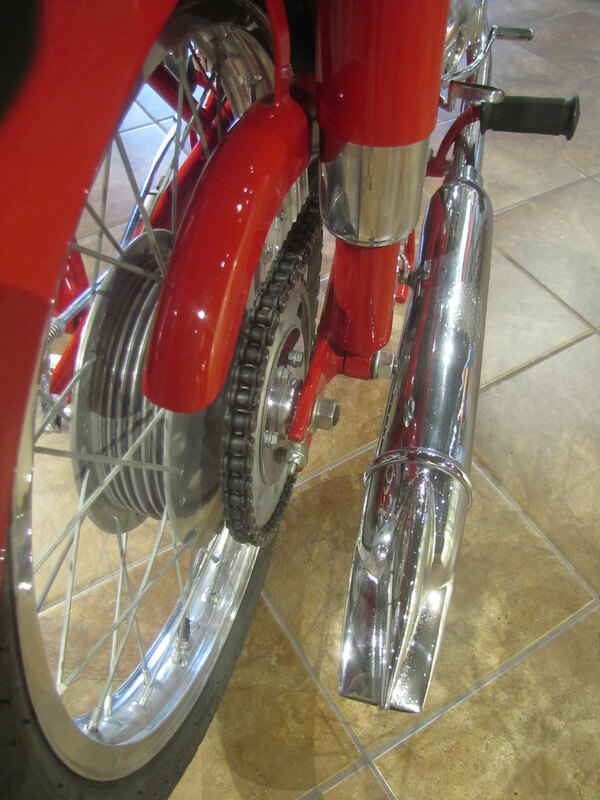 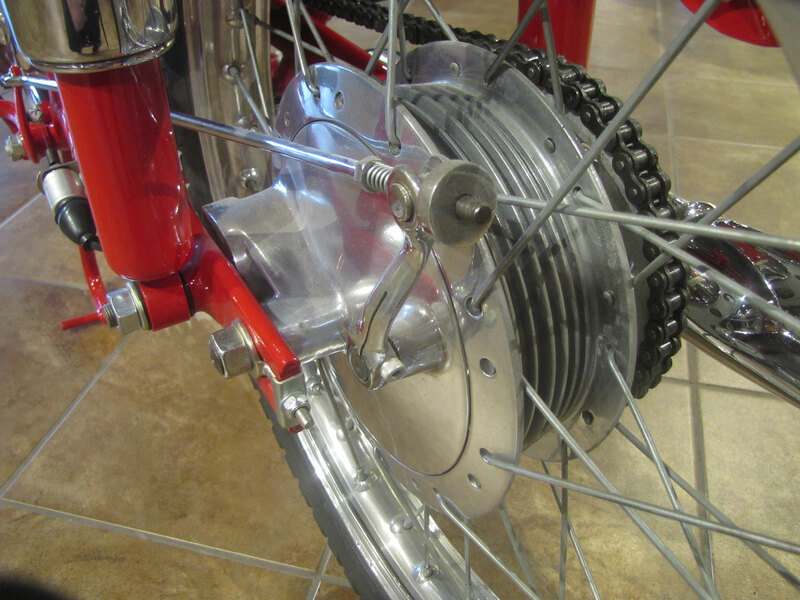 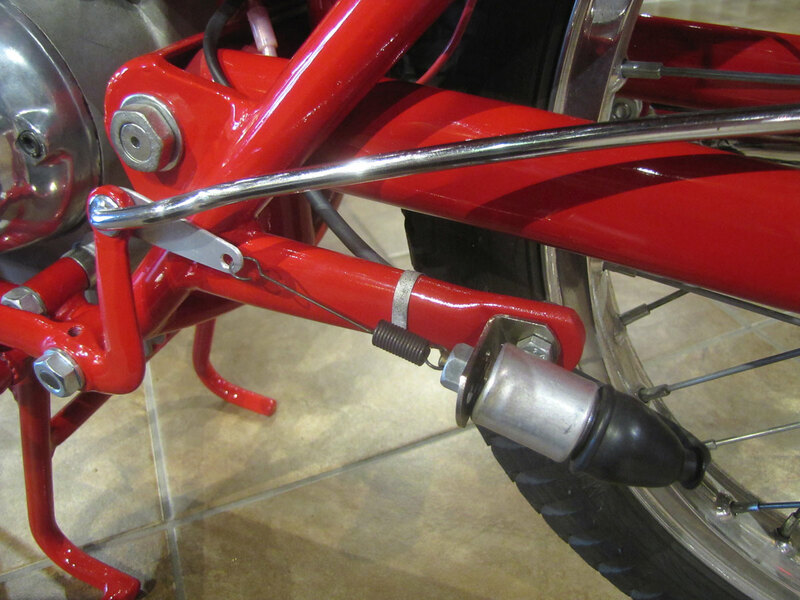 It was awarded Second Place in the motorcycle class behind the First Place Aermacchi 175 Chimera also on display at the National Motorcycle Museum. 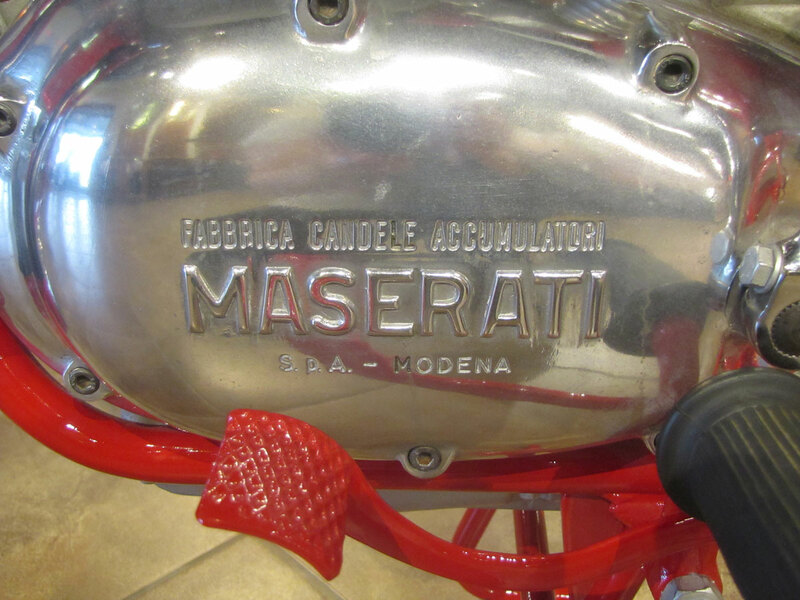 The Maserati name is associated with many manufacturing ventures and has its roots in Bologna, Italy around 1915. 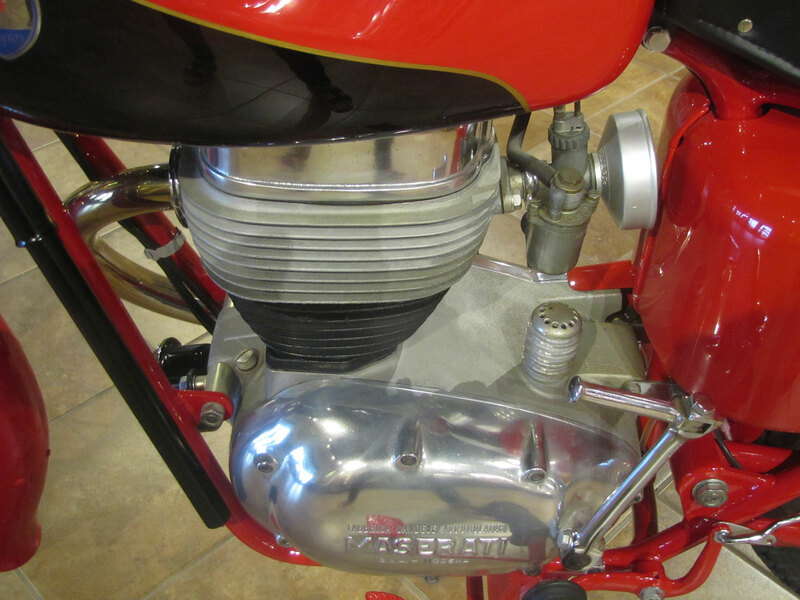 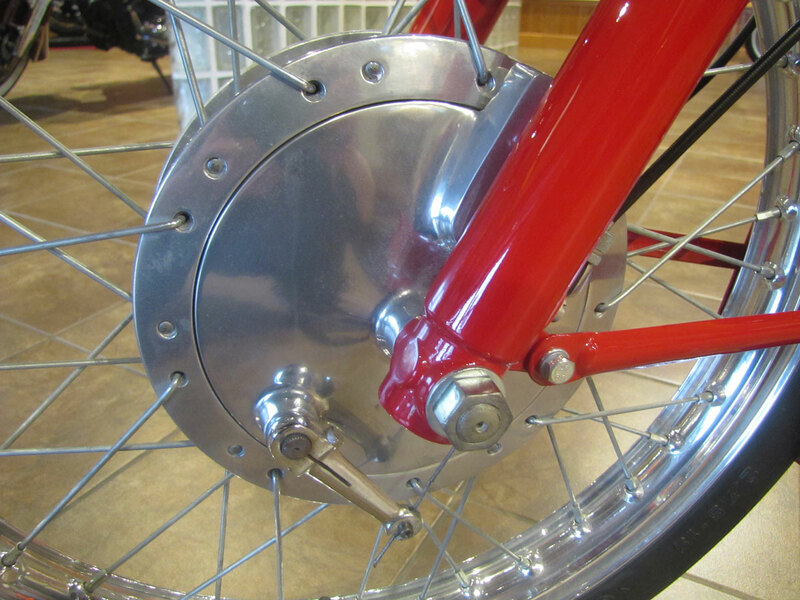 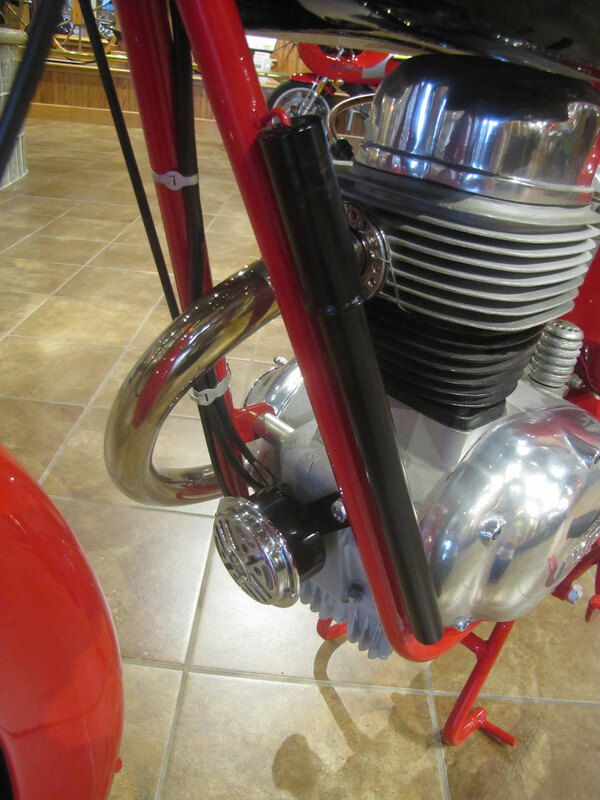 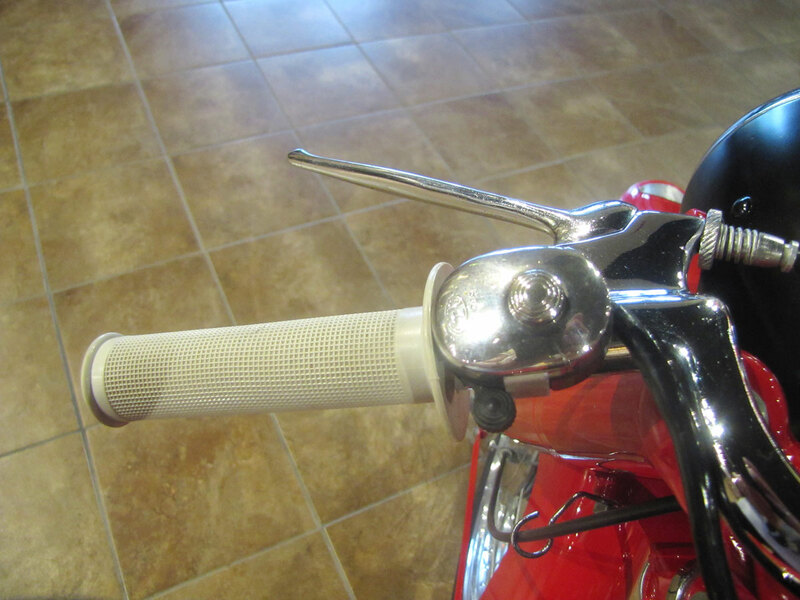 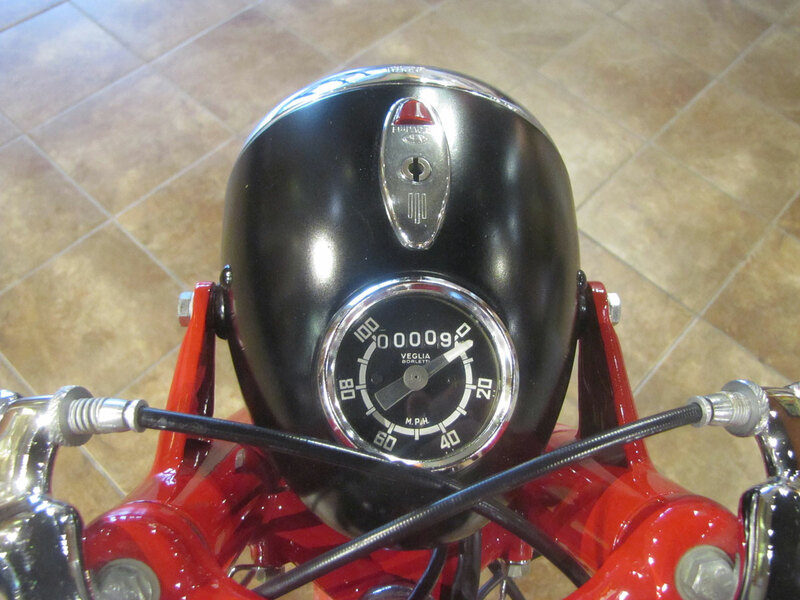 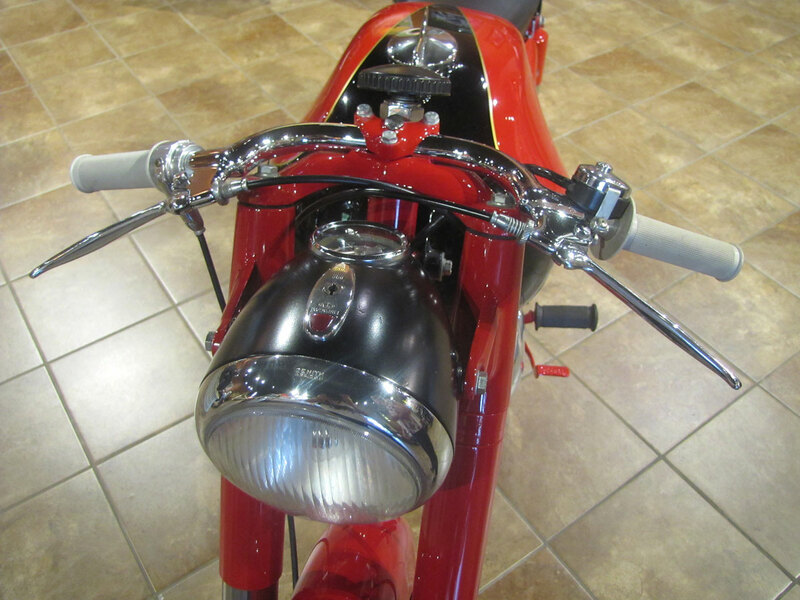 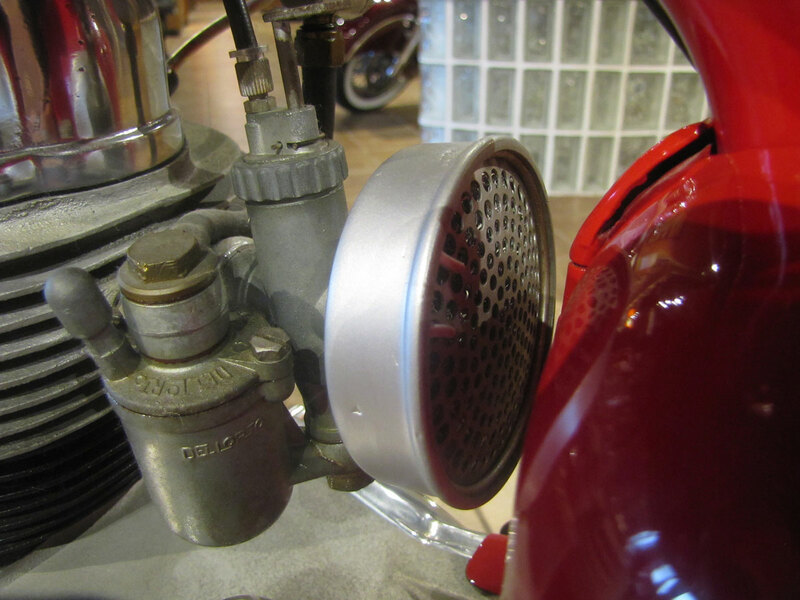 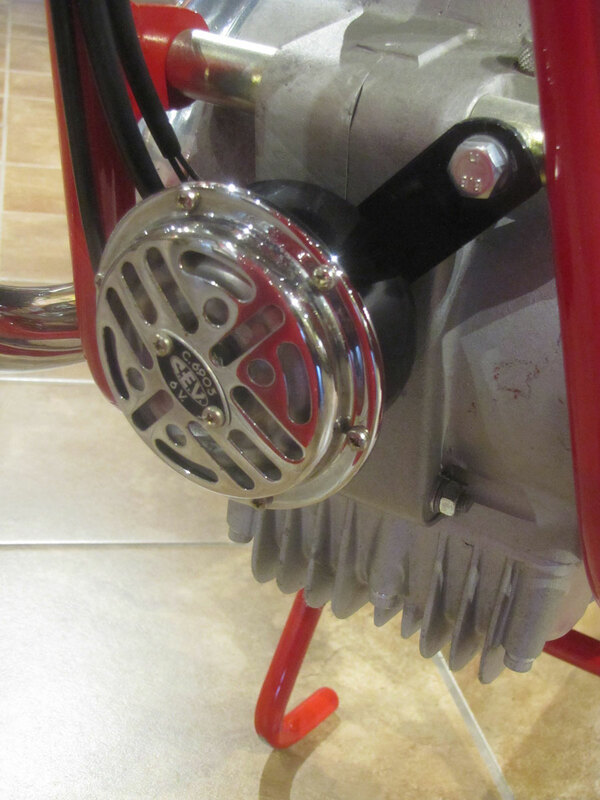 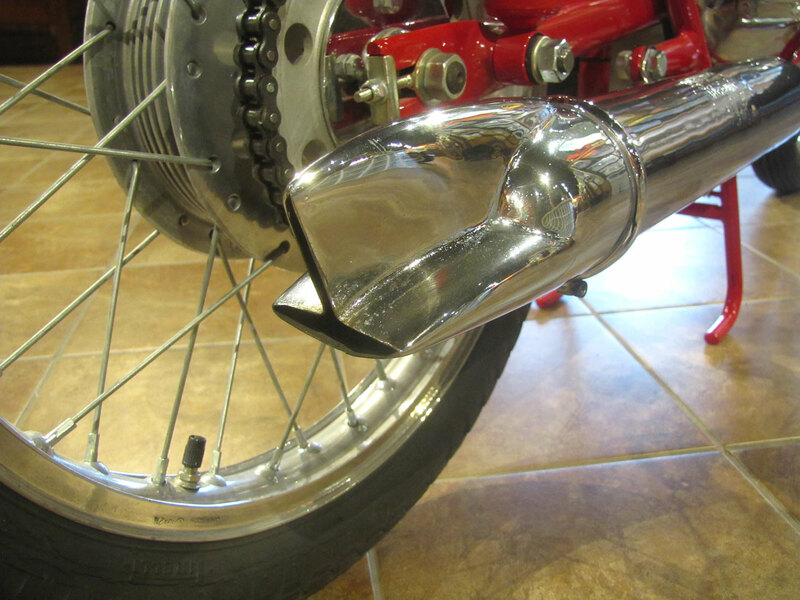 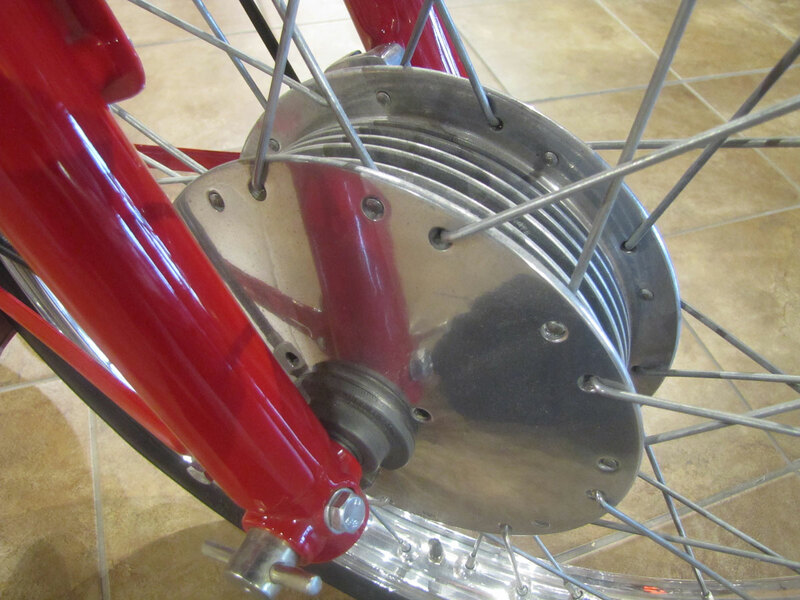 From 1953 to 1960 the company produced notable two-stroke and four-stroke motorcycles. 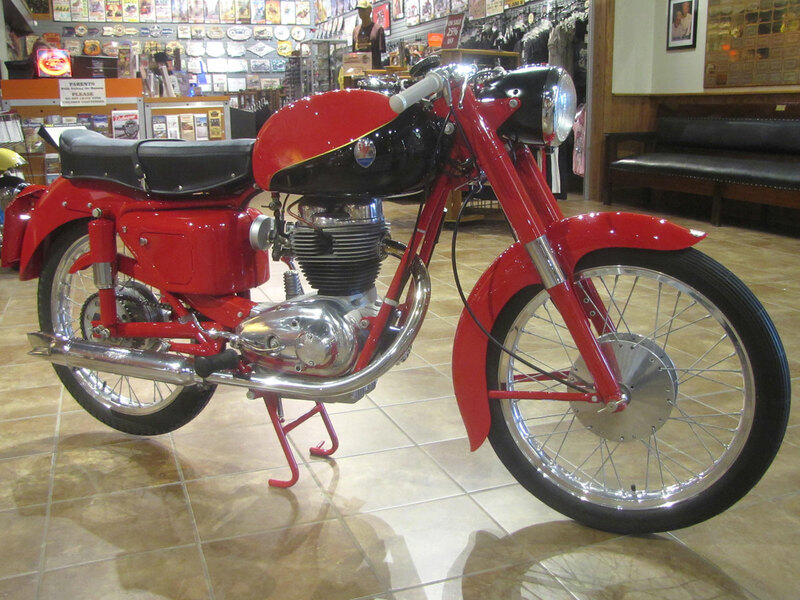 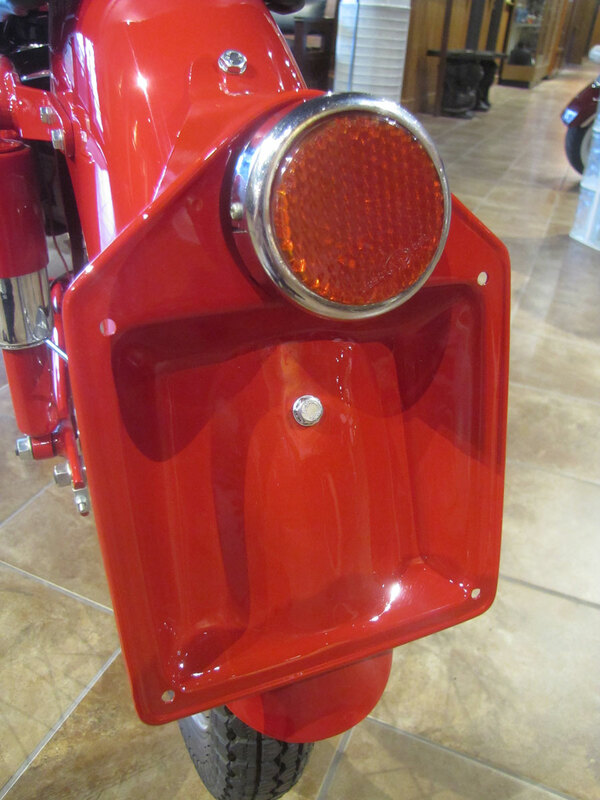 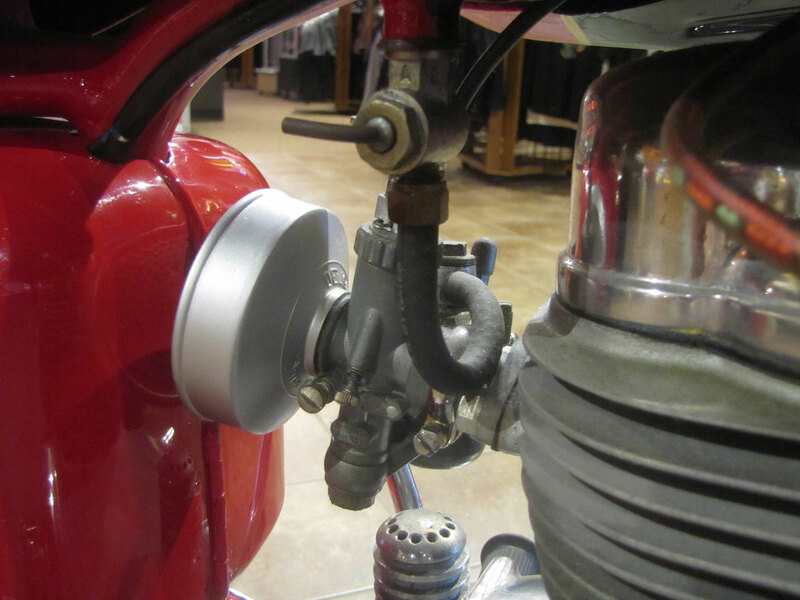 This Model 160 is pretty typical of Italian bikes from Ducati and MV Agusta in that time; overhead valve single in a tubular steel frame, sleek body work with blood red paint. 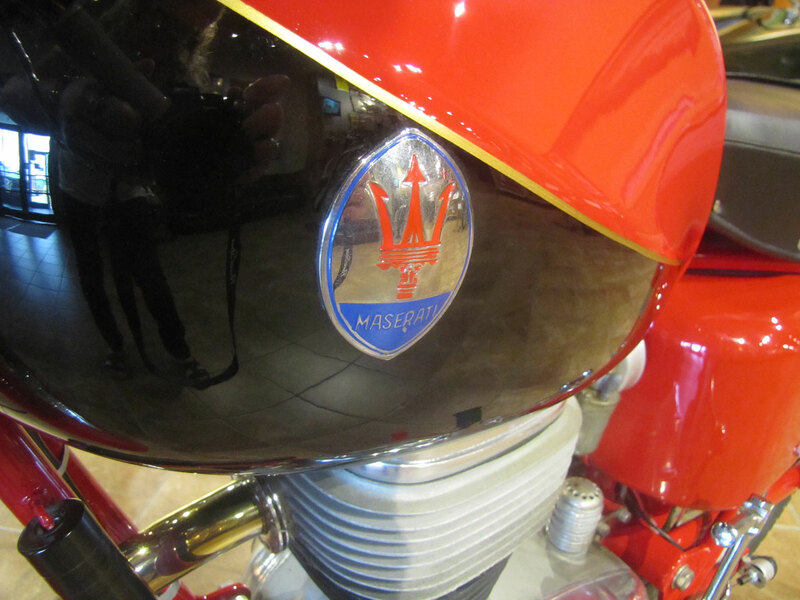 Due to financial difficulties, in 1937 the Maserati brothers turned over ownership of their motorcycle manufacturing enterprise to another Italian named Adolpho Orsi. 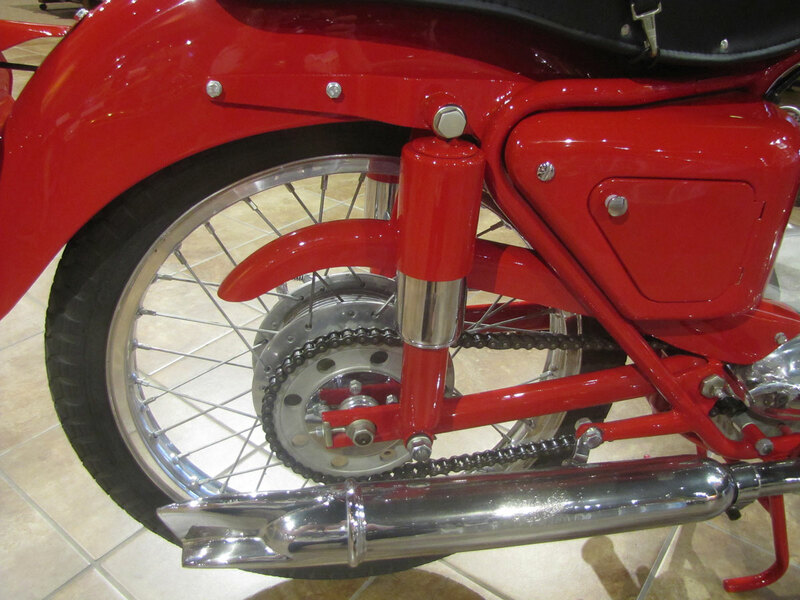 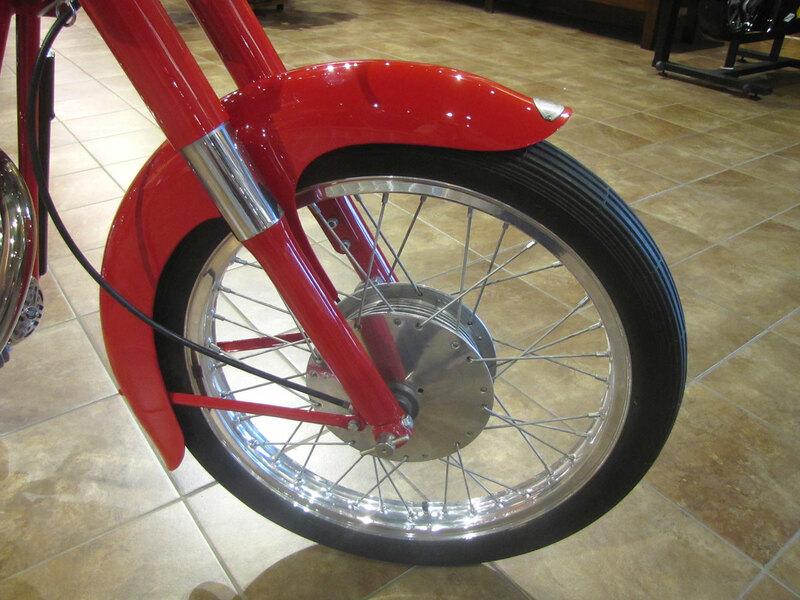 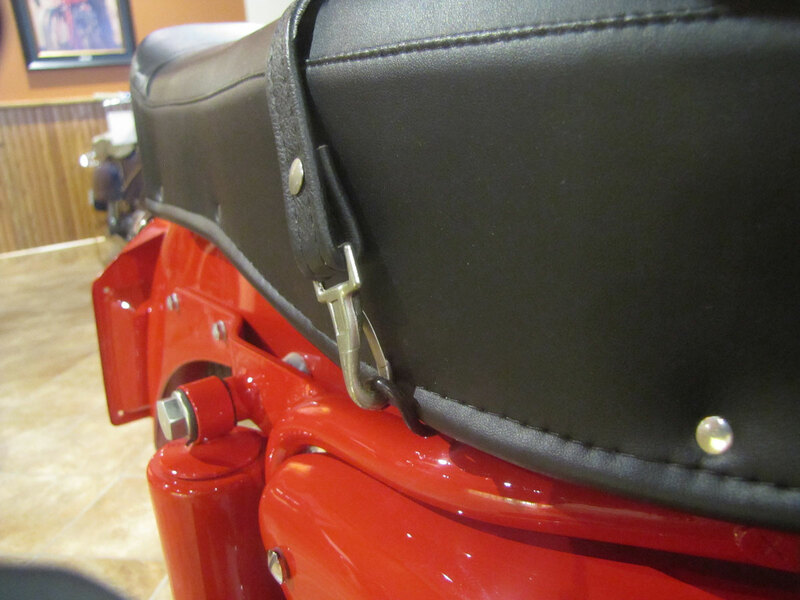 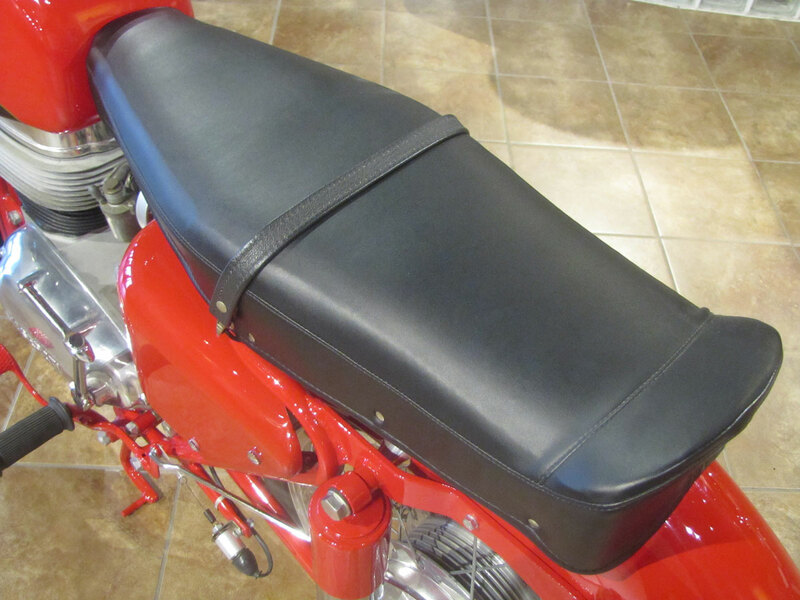 No Maserati kin were affiliated with Orsi’s company at the time motorcycles began to be made in 1953. 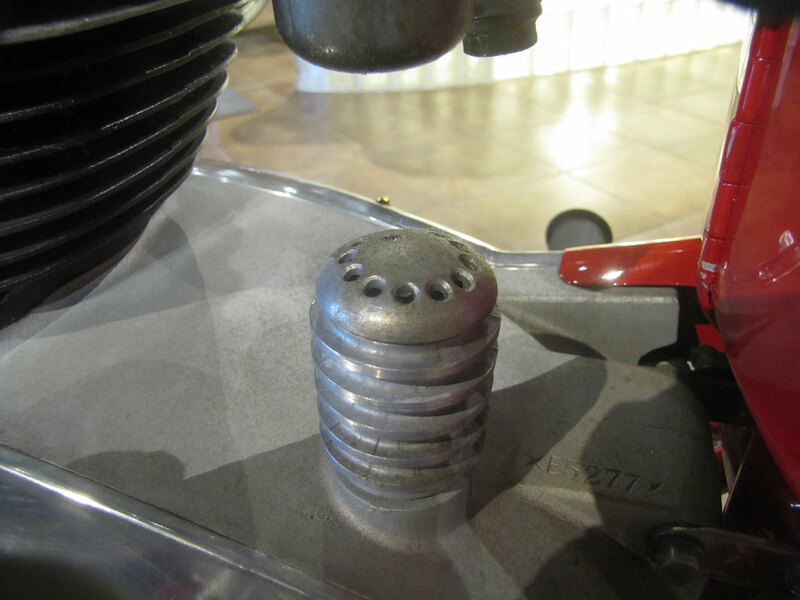 Orsi’s expansion of what the Maserati brothers started included making spark plugs, machine tools, boats, auto lamps, even miniature cars along with motorcycles. 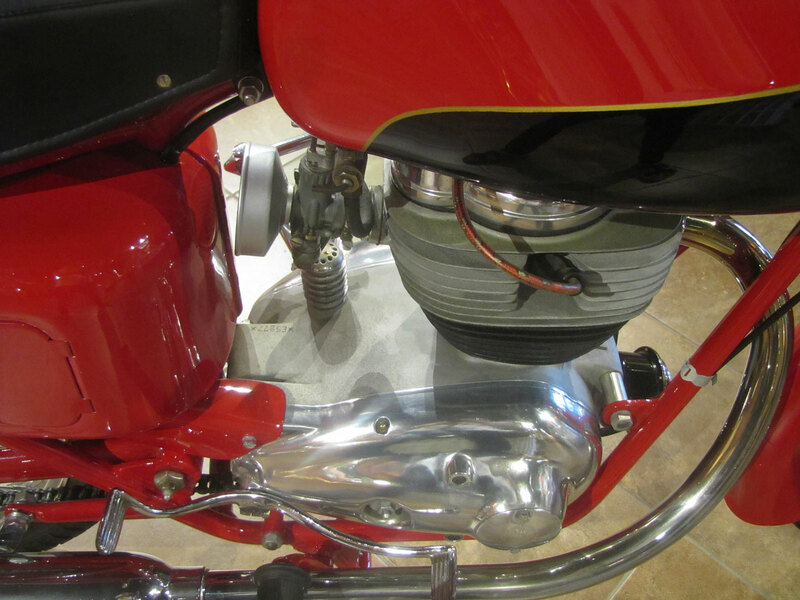 After experimenting with small two-strokes, then four-strokes and even some overhead cam racing machines, some up to 250ccs, in 1960 motorcycle production ceased. 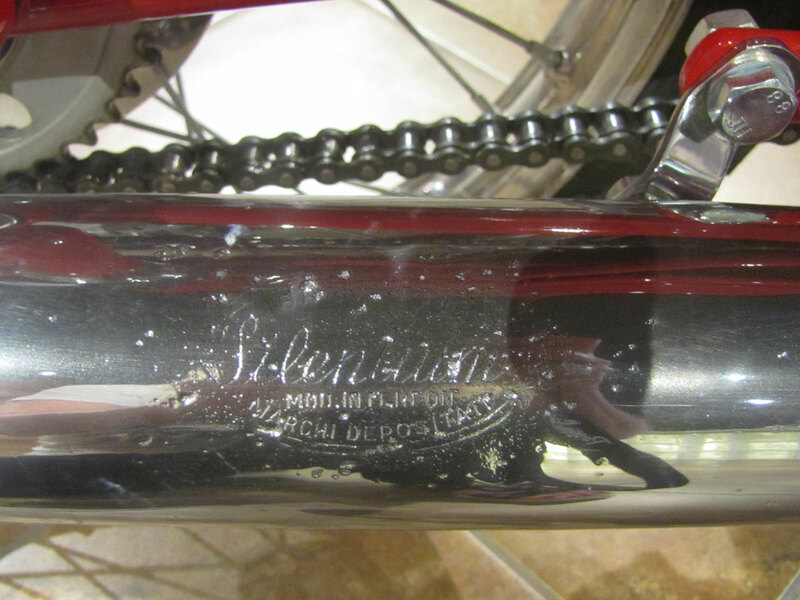 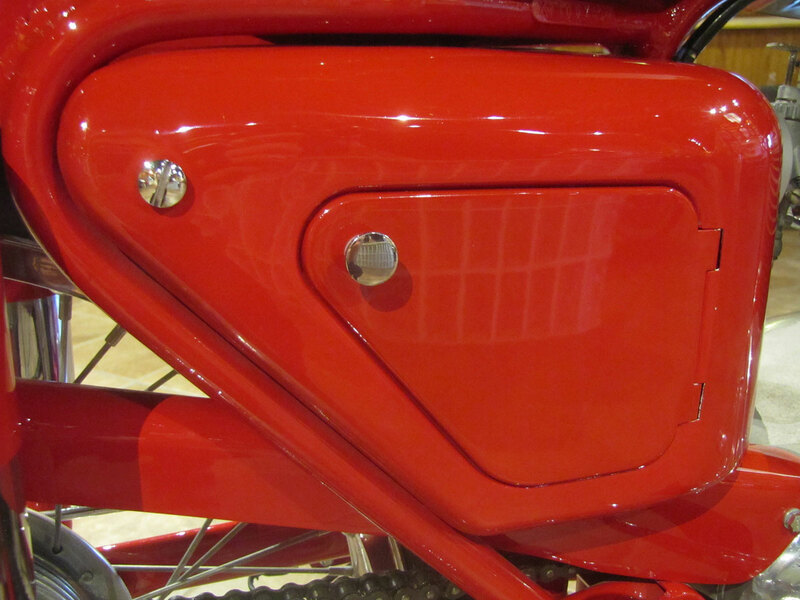 Automobiles by the same name continued to be manufactured as that was a separate company using the same trademarks. 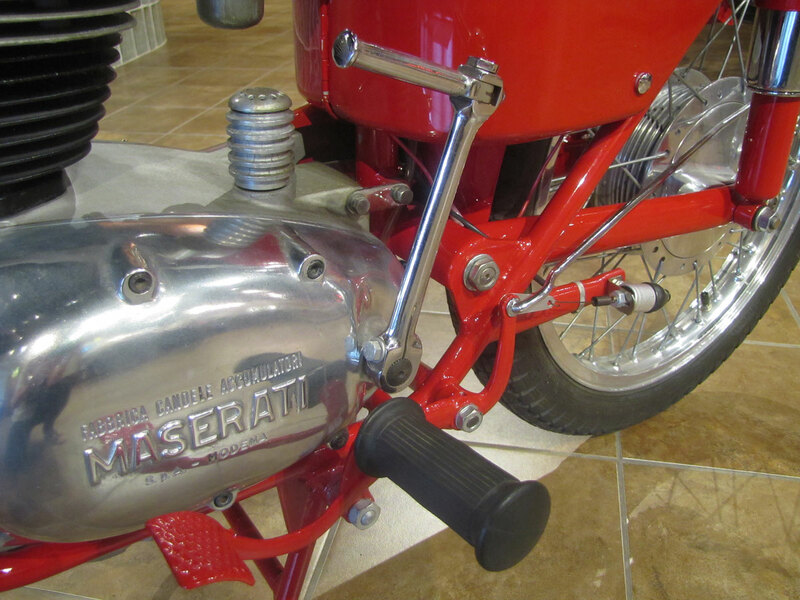 A notary’s error in ownership transfer is blamed for Orsi’s continued use of the Maserati name and trident trademark through 1970 when his manufacturing concern closed altogether. 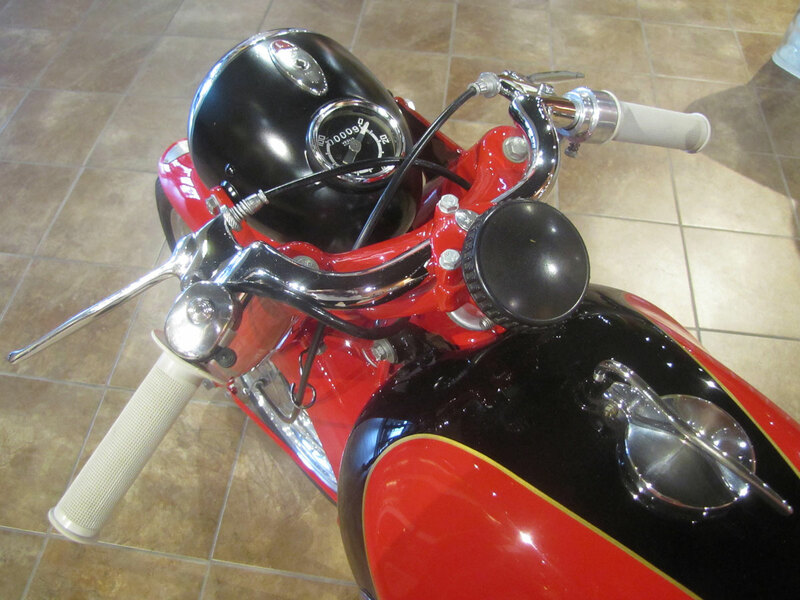 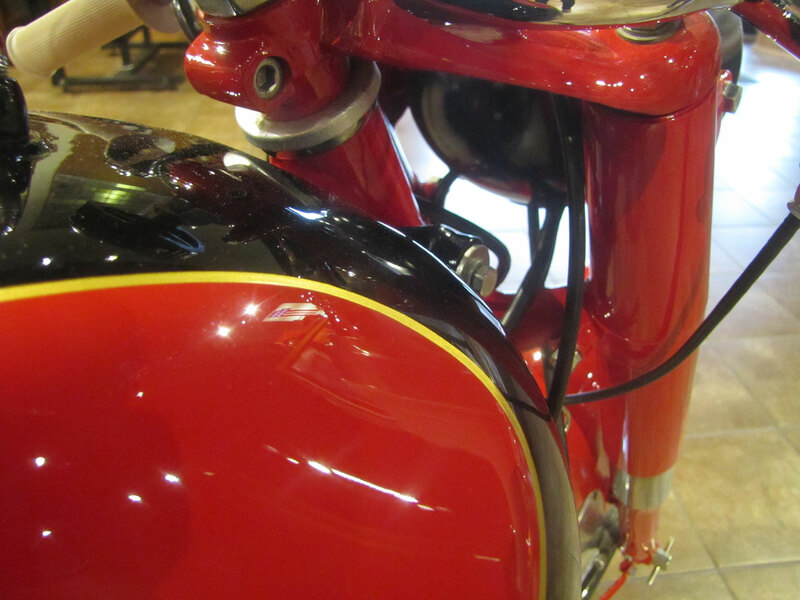 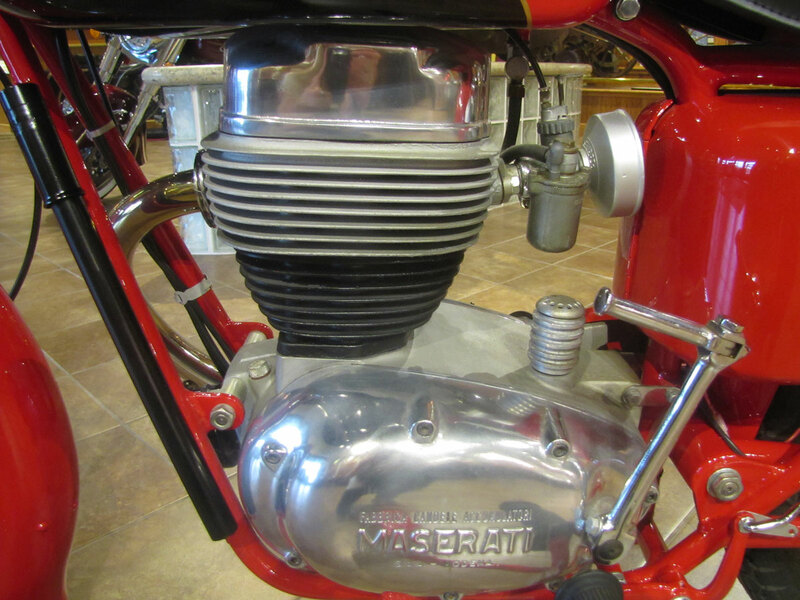 This Maserati is among many Italian motorcycles currently on display at the National Motorcycle Museum in Anamosa, Iowa. 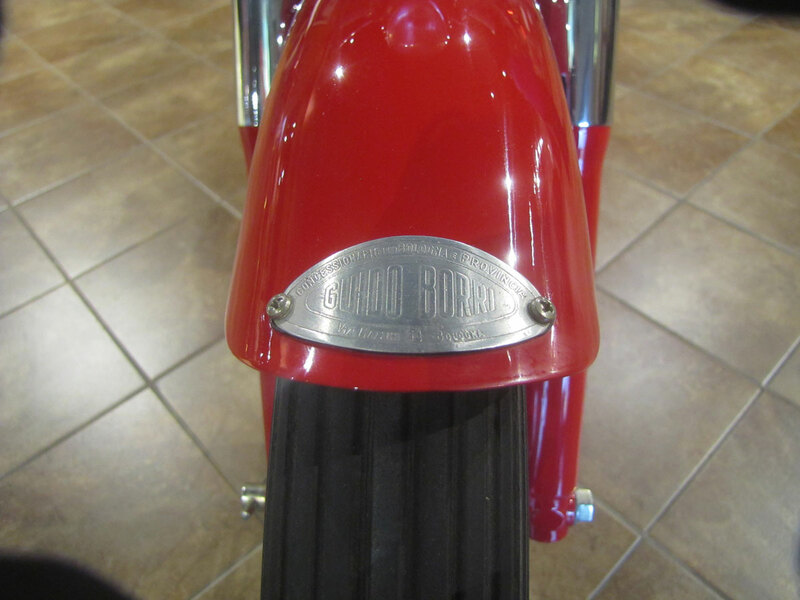 It was painted with some direction from Ed Gilbertson, then Chief Judge at Pebble Beach, who suggested the hand applied pinstriping be applied over the red/black base-coat/clear-coat, giving an appearance more like the original paint. 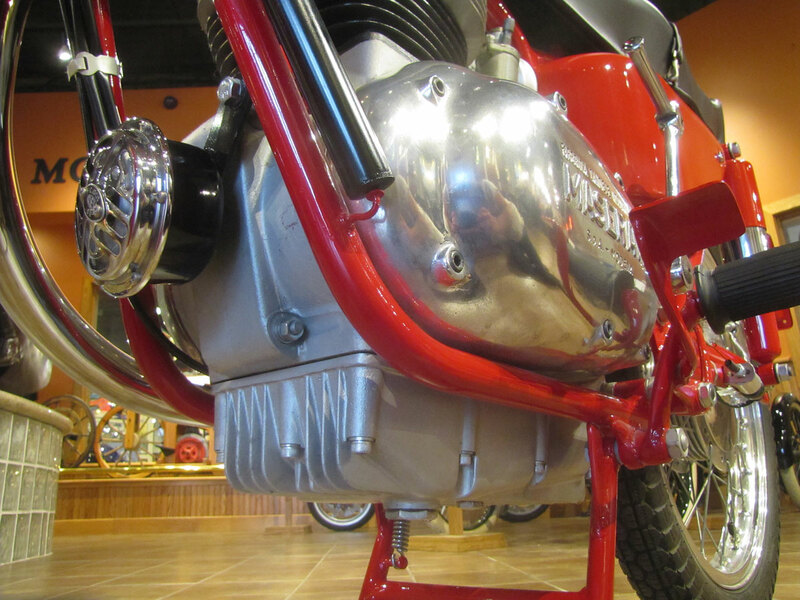 Italian brands on display at the National Motorcycle Museum include Ducati, Moto Guzzi, Parilla, Aermacchi, Benelli, Rumi and MV Agusta. 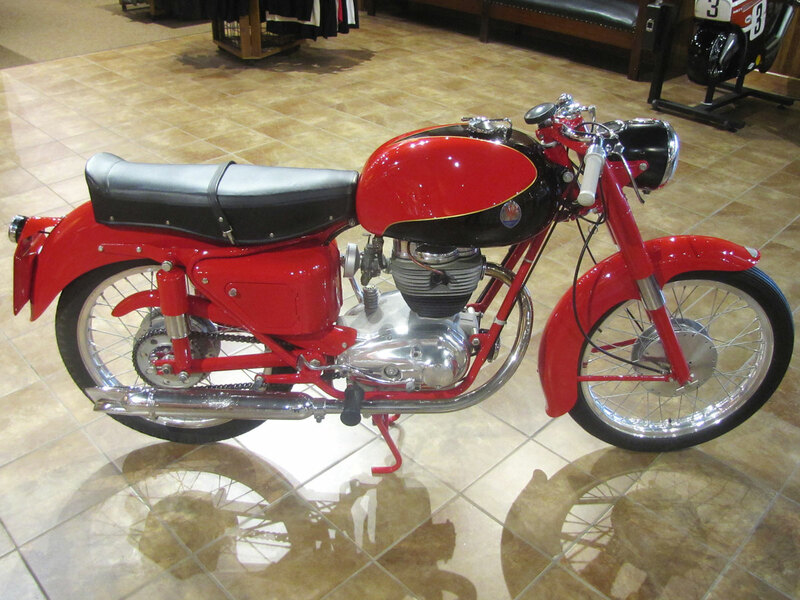 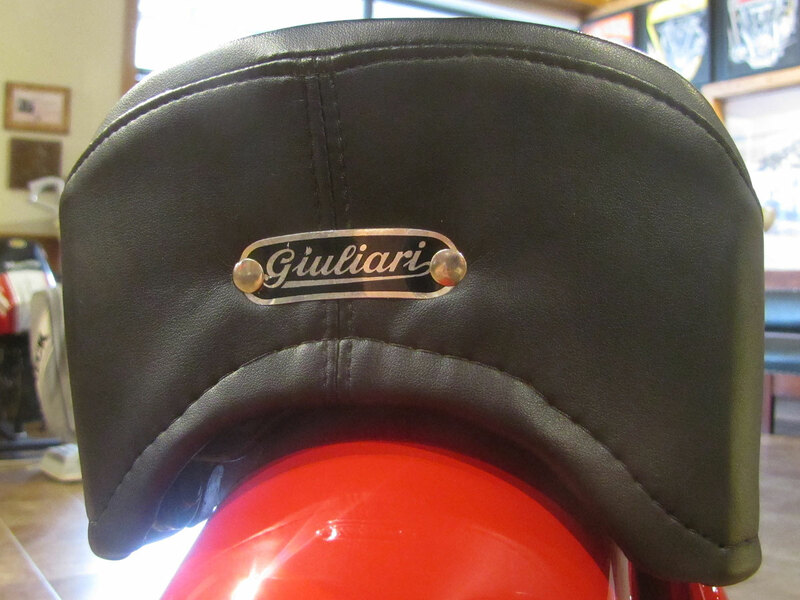 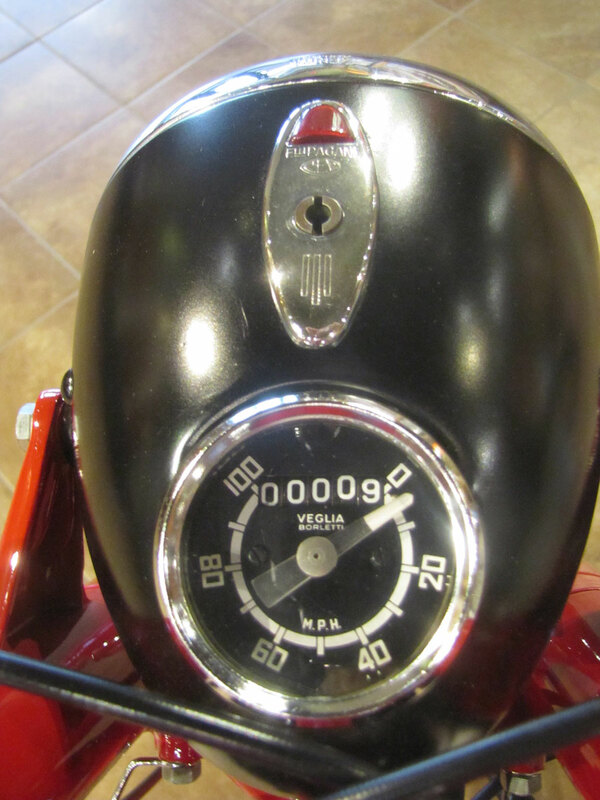 Recently a Gilera was donated.